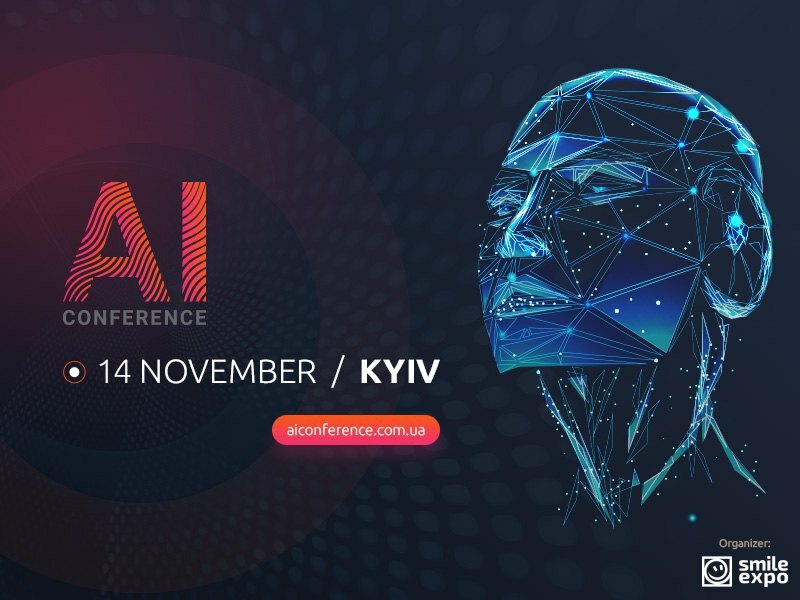 On 14 November, the capital of Ukraine will host AI Conference Kyiv, a conference for those desiring to gain insight on the basics of artificial intelligence and its application in businesses. It is organized by Smile-Expo, a company that has been holding events dedicated to innovative technologies for 12 years. · how to acquire new customers and speed up the service process. It will involve speakers from Kyivstar, Prom.ua, Ukrgasbank, Ukrainian Internet Association, Vоdafone, Ukrposhta, Competera, SMART Business, Skylum Software, DataArt, IoT Hub, PeopleMeter, EVE.calls, Marketing Gamers, and Reforms Delivery Office at the Cabinet of Ministers of Ukraine. AI Conference Kyiv will be interesting to everyone aiming to apply AI for the working process optimization: business owners, top managers, heads of IT departments, developers, and marketing specialists. The conference will take place at TAO Event Hall (Arena City complex) at the address: 2 Baseyna str. Working hours: 09:00–18:00. AI Conference Kyiv is a new format of the conference dedicated to artificial intelligence in business organized by Smile-Expo. Previously, the company has already held AI, IoT, and chatbot events. Registration is available on the official website of AI Conference Kyiv. Attend the conference and discover what business opportunities are opened by new technologies!